Oral arguments this week before the U.S. Supreme Court about the Affordable Care Act (ACA) have garnered an enormous amount of attention in the United States, and rightly so given the political, statutory, and constitutional controversies the ACA has generated. The constitutionality of the ACA’s mandate that individuals purchase health insurance or face penalties has sparked a contentious, fascinating, and far-reaching debate about Congress’ powers under the Commerce Clause and the future of health care in the United States. In the midst of this constitutional and political moment, I find myself wondering what this seminal American case means, if anything, beyond the United States in the realm of global health. Perhaps because I have been preoccupied by the danger of Congress ordering me to eat broccoli if the ACA survives, I have not seen debates over the ACA seriously involve many international considerations or perspectives. This outcome is not surprising. Despite proclamations by politicians that the United States has the best health care system in the world, my work in global health has taught me that not many countries look to U.S. health care policy and practice for normative leadership or practical guidance on increasing access to affordable, quality health care. In my experience, sober analysis drives this disinterest rather than snarky, Michael Moore-ish contempt for the U.S. health care system. So, I doubt foreign perspectives on the American health care system will change much whether the Supreme Court upholds or strikes down the ACA’s individual mandate. In other contexts, such as death penalty litigation, American jurisprudence has experienced a rumble over the place of foreign and international law in constitutional interpretation. As far as I can tell, we have nothing of the sort in the ACA litigation. Again, the reasons are not hard to discern. Unlike many countries, the United States does not recognize access to health care as an individual right constitutionally or in international legal commitments. The ACA litigation focuses on the Commerce Clause not the Bill of Rights. As such, it does not speak to rights-based motivations that inform other societies’ approaches to domestic health care governance and that prominently feature in the World Health Organization’s work and in many (if not all) global health governance debates (e.g., rights-based universal access to primary health care). As Yanzhong Huang recently pointed out, global efforts to achieve universal health coverage are moving forward without hand-wringing about health care battles in the United States. I would imagine those efforts will continue whatever the Supreme Court decides in the ACA case. Another factor behind international shoulder-shrugging about the ACA litigation is that more urgent problems involving U.S. foreign and development policy confront global health. Responses to the U.S. fiscal crisis are adversely affecting policy willingness to sustain expenditure of American political and financial capital on global health. Laurie Garrett recently argued that “[g]lobal health programs now teeter on the edge of disaster” because of the “world economic crisis and the politics of debt reduction[. ]” How the Supreme Court rules on the ACA will have no immediate impact on U.S. foreign and development policies on global health. Those in the United States and overseas trying to keep the U.S. commitment to global health from diminishing have more urgent things to do in the short-term than worry about the constitutional fate of the ACA. However, the real significance of the ACA controversies for global health does connect to the ticking fiscal time-bomb the U.S. government has failed to defuse in its tragicomic “debt reduction” efforts. If nothing else, the ACA tries to address the unsustainable trajectory of increasing health care costs and decreasing affordable access. 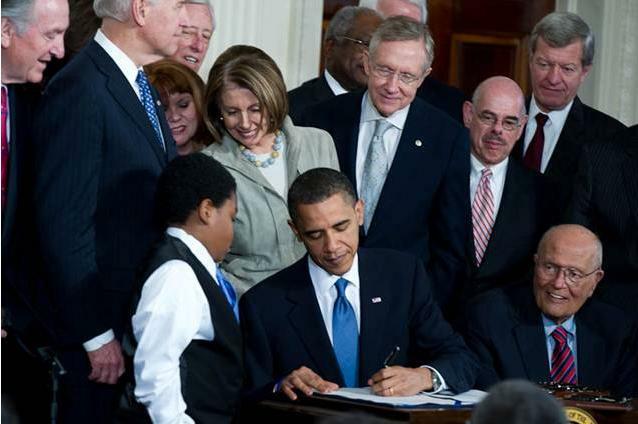 The individual mandate is the linchpin of the anticipated cost reduction and access expansion. If the Supreme Court strikes down the mandate, the United States is left with a runaway health-care train and no political consensus or fiscal capability to stop it. The ensuing train wreck will damage many things, including the willingness and ability of the U.S. government to pursue the type of global health policies developed and implemented over the past 10-15 years–policies that have meant the difference between life and death for communities and individuals around the world. Global health considerations do not, and should not, drive Commerce Clause analysis or how the United States fixes its health care problems. The lack of clear and immediate connections between the ACA litigation and global health concerns should not blind us, however, to deeper, more tectonic implications of the ACA’s fate for global health. As in an increasing number of policy contexts, global health practitioners and advocates have much at stake in the outcome of the ACA controversies but no way to influence what happens.